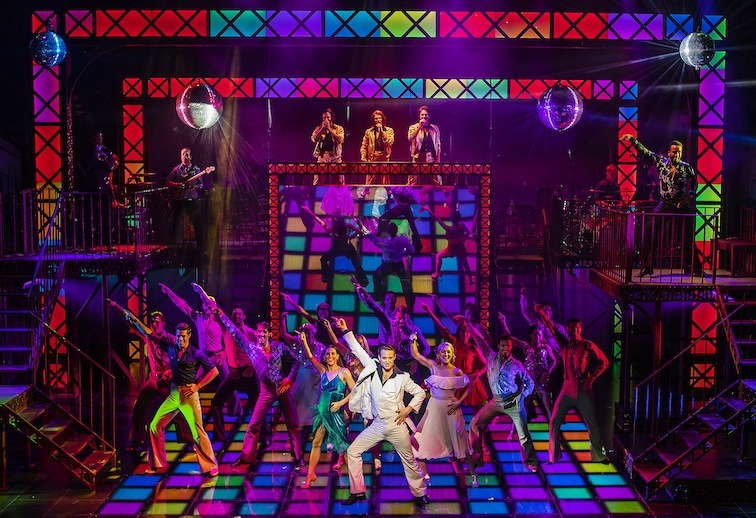 The incredible energy and expertise of the dancers in this production of the iconic ’70s film Saturday Night Fever gets your heart racing as soon as it’s curtains-up – and get set to be bowled over by the (albeit dated) disco vibe from that moment on. Forty years on from the release of the film in the UK and this stage production doesn’t shy completely away from some of the controversial subject matter that cropped up in the original. Sexism, suicide and abortion are all touched upon. 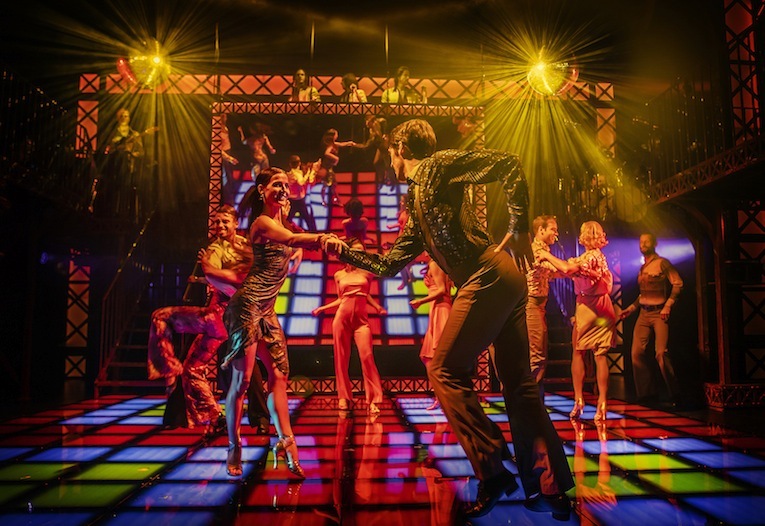 And, while it’s irritating to watch so many girls craving Tony Monero’s attention, his on-stage character in this production is – thankfully – a much toned-down version of the narcissistic, sexist persona played by John Travolta in the film. Richard Winsor is, in fact, compelling as Tony; who knew that the actor best known for his role in Casualty was a superb, classically-trained dancer? As well as wowing on the dance-floor, he plays the popular, charismatic, tortured and even sometimes sensitive soul of Tony, expertly. Kate Parr is also strong as his upwardly-mobile, wannabe Manhattan moocher and dance partner Stephanie. 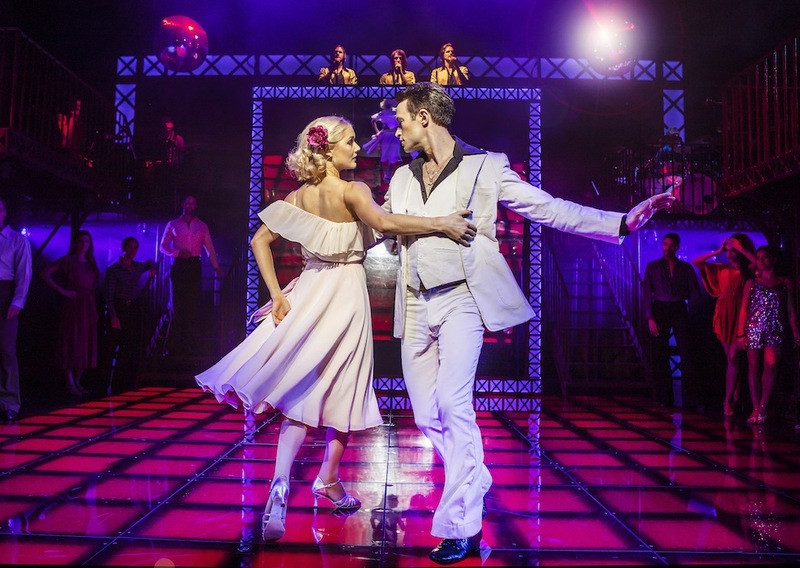 The rest of the cast absolutely shine on the dancefloor – busting out impeccable dance moves to Bee Gee classics ‘You Should be Dancing’, ‘Night Fever’, ‘Tragedy’, Stayin’ Alive’ and more. The on-stage live singing Bee Gees soundalike band are incredible, hitting all the right (and high!) notes perfectly. The whole audience appeared to be up on their feet, dancing along, at the end of the show – testament to the great performances all round.